Sometimes the best thing for a whiskey is to leave it alone. When we filled a handful of Oloroso sherry barrels, we didn’t mean to forget about them in a rickhouse, but that’s precisely what happened. We’re thrilled to share those results with you now. This rare spirit spent an extended finishing period in our Oloroso barrels, and the lengthened oxidation process resulted in a remarkable sequence of flavors that are unlike any other whiskey we’ve ever tasted. Each sip carries unique raisin and fruit qualities with just a hint of hazelnut on the nose. Our Kentucky Straight Bourbon Whiskey Finished in Oloroso Sherry Casks release is available at our distillery for a limited time. This invitation is for a single admittance to the event. We look forward to seeing you soon! The confirmation window has closed, but we hope to see you at the distillery for a tour or cocktail class soon. Visit our website for all our latest offerings. Thank you for your interest in our latest release. 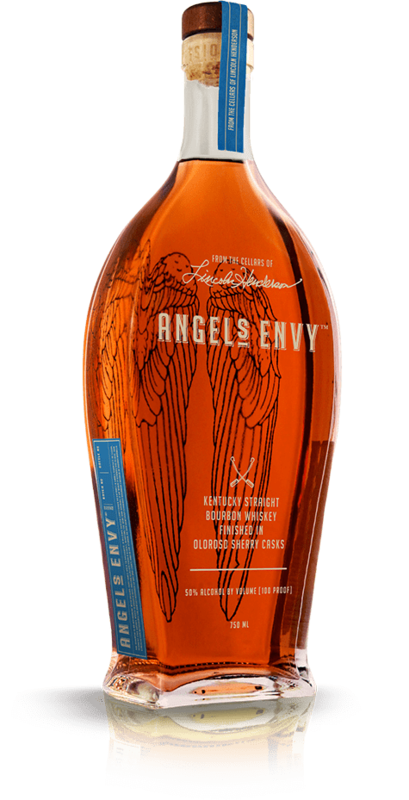 Unfortunately, the reservation window for our Angel’s Envy Kentucky Straight Bourbon Whiskey Finished in Oloroso Sherry Casks has passed. Please stay tuned for updates about availability as well as future releases. Thank you for confirming. Your bottle has been reserved and will be available until March 5th at the distillery.